Gravel making plant is consist of several types of stone crushing and screening machine. Firstly, the stone materials will be evenly entered the coarse crushing machine to proceed the primary crushing. 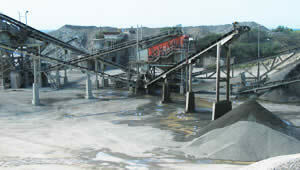 And then the coarse materials will be entered the Impact crusher by the Belt conveyor to proceed the secondary crushing. And the fine stone materials will be entered the Vibrating screen to produce various stone specification .And particle size which have not satisfied the requirements will receive the repeated crushing . The size of finished gravel can be adjusted according to the customers’ requirements. The complete gravel crushing and screening plant has different capacity because of the difference of crushers you choose.we will provide you the comprehensive service in the before ,during and after–sales service. According to the specific production site, we will strive to complete a most reasonable, economic production line for our customers. 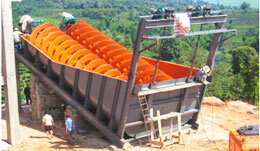 Stones are evenly sent into Jaw crusher by vibrating feeder, for coarse crushing. 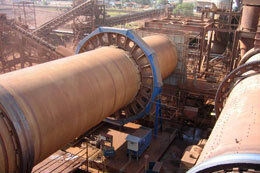 The crushed materials are sent into Sand sand making machine by traveling apron, for fine crushing. Then the materials are transmitted to the Vibrating screen and classified according to different sizes. The qualified stones are washed by Sand washing machine and sent out by belt conveyor. Those unqualified stones are sent back to the Sand sand making machine and crushed again. If users adopt dry production technology, the sand and gravel production line should be equipped with separator (for separating coarse powder and fine powder) and dust removal plant.